Are there any ‘copter mummies in the house tonight? Most of us are guilty of hovering over our kids in some form or another so come and sing along to this hilarious parenting spin on the Party Rock Anthem by LMFAO. You know the song. But you’ve never heard it quite like this before. The Holderness Family are no strangers to catchy parodies and their cheeky lyrics to classic pop songs always seem to put parenting into perspective and give us a laugh. Their ‘Copter Mommy video is one of their best yet. Perhaps the bubble wrap is a bit of an exaggeration but the sport and playground scenes are spot on. 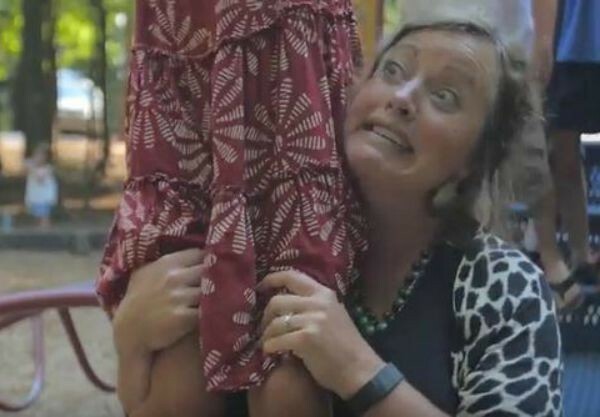 We’ve all had those moments of chasing our kids around the playground trying to spray them with sunscreen or cheering a little too loudly from the sidelines at their sports carnival, right? Whether a helicopter mummy, a gentle parent, a free-range mum or somewhere in between, we can all appreciate a little bit of parenting humour.